This topic has 0 replies, 1 voice, and was last updated 2 weeks, 3 days ago by Brett Warthen. The University of Florida department of Advancement published an interesting article on Parkinson’s Disease at the University of Florida. The article focuses on researcher David Vaillancourt, and study participant Gary Keating, brought together by a common goal to cure Parkinson’s, and a love for the game of basketball. Both have stories to tell that involve Parkinson’s. In 2014, Vaillancourt and his UF lab made history when they identified the first noninvasive imaging biomarker of PD: structural changes in the substantia nigra, a nucleus in the midbrain that is key to movement and production of dopamine. The team used diffusion imaging, a type of MRI, to reveal that, over time, Parkinson’s patients lost vital dopamine neurons in the substantia nigra and gained more of a fluid known as free water. The details of these studies can be found below. Study participant Gary Keating has had a prolonged personal experience with Parkinson’s Disease. A former basketball coach, Gary helped his father (also a basketball coach) battle PD for 14 years. Six months after his father’s death, Gary was diagnosed with young onset PD himself. 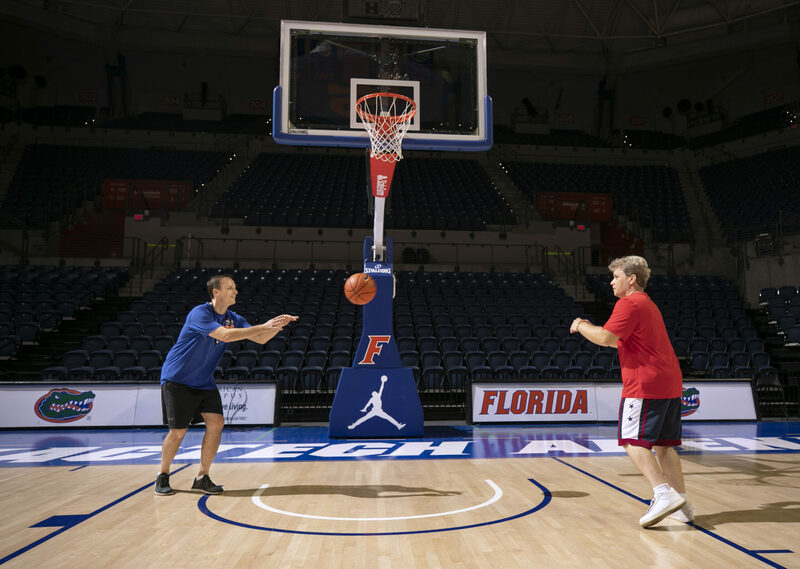 10 years later, he’s challenging PD with basketball therapy, and challenging the lead researcher of the study he participated in to a game of one-on-one. “On the court, it’s hard to tell he has Parkinson’s disease,” says Vaillancourt of patient Keating, who practices the same daily basketball drills he used to give his players in New Jersey and Pennsylvania. Helps is an understatement: People usually look at Keating in surprise when he tells them he has PD.